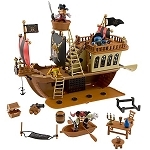 Ahoy, matey! 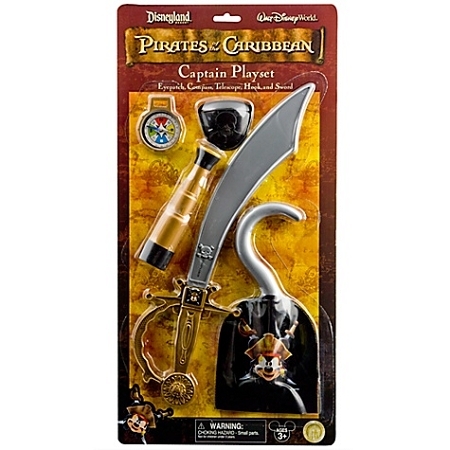 It's a pirate's life with the Mickey Mouse Pirates of the Caribbean Captain Play Set. 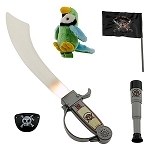 Here are the perfect playtime accessories for your Pirate costume, inspired by Captain Jack Sparrow himself! 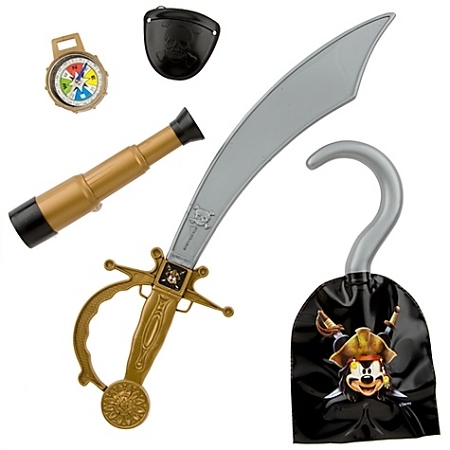 From a working telescope and compass -- to an eyepatch, hook and sword, this 5-piece set has everything needed to play your favorite role from Disney's Pirates of the Caribbean films.